If you previously ever viewed or heard news about the latest features of dai facebook named "Facebook Live Streaming Video"? Lately, these features often became the talk of facebook, which, as the world's largest social networks with the number of users that much, which gives a new experience to its users. Which facebook users can use this feature to interact with siblings, friends, co-workers and more directly. Therefore, this feature is often referred to as "Broadcast Live". 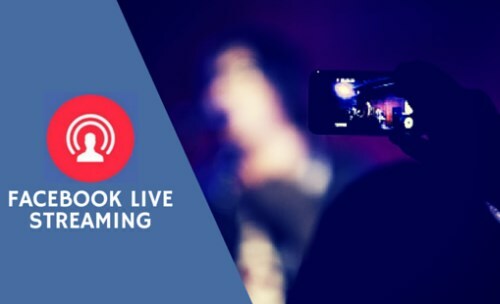 At the beginning of the appearance of this feature, Facebook Live Streaming Video can only be used by a public figure and large companies through a special page, with different names i.e. Mentions. 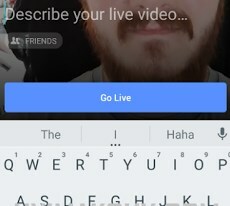 But this feature can be used by users of facebook applications on Smartphones and can be enjoyed by all facebook users around the world with the label "Live"
Many of the facebook users curious about how to use Facebook features Live Video Streaming on facebook applications at the smartphone them. 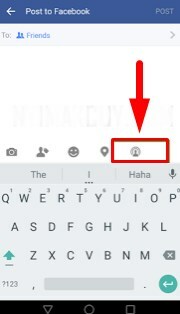 This can be seen by a large number of search "how to use live stream on facebook" on the google search engine. Therefore, I created this article to help facebook users around the world that could use the live stream on facebook. I will guide you, here are the steps. For now, this feature can be used by facebook users who have a facebook application in smartphones based OS Android and iOS. However, not all facebook users can directly use this feature. Only the account and fans page verified could use Facebook Live Streaming Video. If your account or your fans page have been verified, then try to use this feature. Please open a facebook application on a smartphone Android or iOS that you have. Note: Please update the facebook application on your smartphone to get the latest version. You can download here. After that, please log in to your facebook account. Sign in to your home/news feed Facebook and tap ' Status ' to write the new Facebook status. A new button will appear on the right side under your Status window, the image of the Tower emits a signal. Please see the image. Then tap the icon to do a live broadcast on facebook through your smartphone. Select Your privacy options (you can choose the people who don't want to see your videos) and give a brief explanation of Your live broadcasts to attract the attention of friends/fans to watch. Once you set it, tap "Finish". Will appear on the screen to prepare you, and live broadcast will begin. Broadcast! Make it interesting, and keep an eye on the comments section to interact with friends/fans. Facebook said that the mention of the name on the commentator when the broadcast will be interesting for them, although we consider this advice is for the celebrities but you can give it a try. 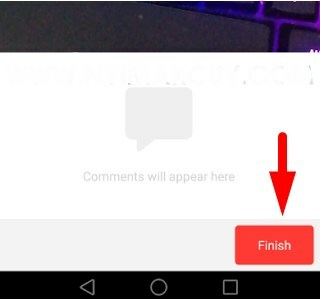 After the broadcast has finished, tap the "Finish" in the bottom right corner to end the broadcast. Then, your video broadcast will be uploaded to your Facebook profile to other people (who are not online at the time) to watch. You will receive a message that tells how long the broadcast that, along with the option to delete it. If you don't want in your profile, simply tap "Delete" and the video will be removed. Hopefully, the tutorial above can help you to be able to use feature live streaming on facebook. I hope you can share this article to many people so that many are helped by this article.